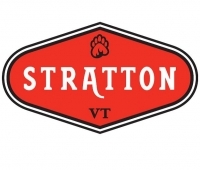 Less than 3 hours from Boston and 4 hours from New York, Stratton Mountain Resort is Vermont's premier golf, ski and conference center in the southern Green Mountains with over 425 sleeping rooms and 40,000 square feet of meeting space in 27 unique venues. Stratton's multi-purpose facility offers creative flexibility and great venues for memorable events, meetings and weddings in any season. Stratton Mountain Resort allows your group to meet in a beautiful and unique place.